Please feel free to e-mail us with a concern or comment. We do not recommend you use our email as a way of placing an order, please call the store if you need to make a change to an order. We stand by our floral work with a 48 hour guarantee. To assure on time delivery during the busy holiday season, place your order at least 2 days prior to the following major holidays: Christmas,Valentine's Day, Administrative Professionals Week, Mother's Day, Grad Season, & Father's Day. Our shop will always be closed on the following holidays: New Years Day, Good Friday, Victoria Day, Canada Day, B.C. Day, Labour Day, Thanksgiving Day, Remembrance Day, Christmas Day, & Dec. 26. We do not accept Visa Debit for online or phone orders. We accept Visa, MasterCard, and American Express. A local delivery charge of $9.00 will be added to each order, along with a $3.45 service fee. Orders placed via our website that are out of our delivery area will be subject to additional fees. We're happy to take all Canadian, United States and International orders. Please call our store directly to place your order. We're closed on Sunday's, orders received for that day will go out the following business day.We will do our best to accommodate deliveries at specific times of day, but we cannot guarantee it. Our shop services the following areas. If recipient is not home at time of delivery, we will flag the door & leave a voice mail. We will redeliver once contact has been made with reipient. If the recipient's address is incorrect and delivery was attempted, an additional fee may be added to your order. 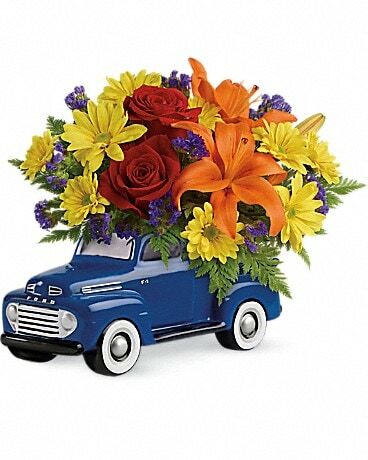 Maple Ridge Florist Ltd is not responsible for deliveries made to incorrect address submitted by the customer. If such a delivery is made the customer assumes responsibility for the entire purchase. In the event that we do not have the flowers you wish, we will do our best to reach you to discuss other flowers or options for your floral order. Substitutions may be necessary to create your bouquet due to the availability of certain flowers in various parts of the country. Care is taken to maintain the style, theme and color scheme of the arrangement, using flowers of equal value. Additionally, the substitution of certain keepsake items may be necessary due to increased demand, especially during major holidays. In single-flower arrangements, such as an all rose bouquet, or orchids, we will make every attempt to match the flower type, but may substitute with another color. Please note that pictures shown on this web site may have substitutions made to them.